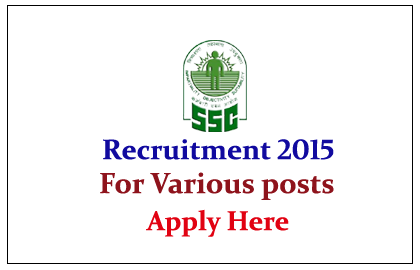 Staff Selection Commission of India has released its recruitment notification for the year 2015. Eligible Candidates can apply for this post from 2nd May 2015 to 28th May 2015. Eligible candidates can register online on or before 28.05.2015, For more details kindly check official Notification. Candidates will be selected on the basis of the performance in the examination.